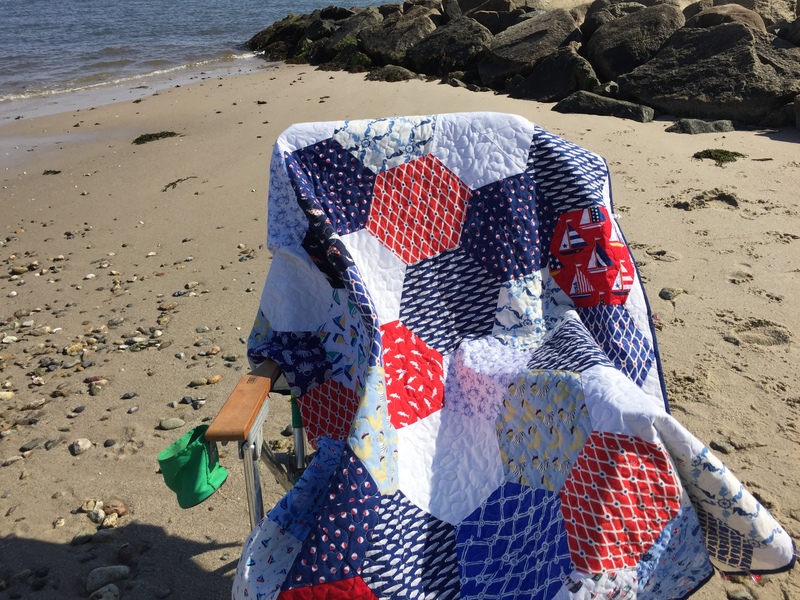 The perfect lap quilt to keep you cozy as you watch fireworks on the beach or the 4th of July parade! 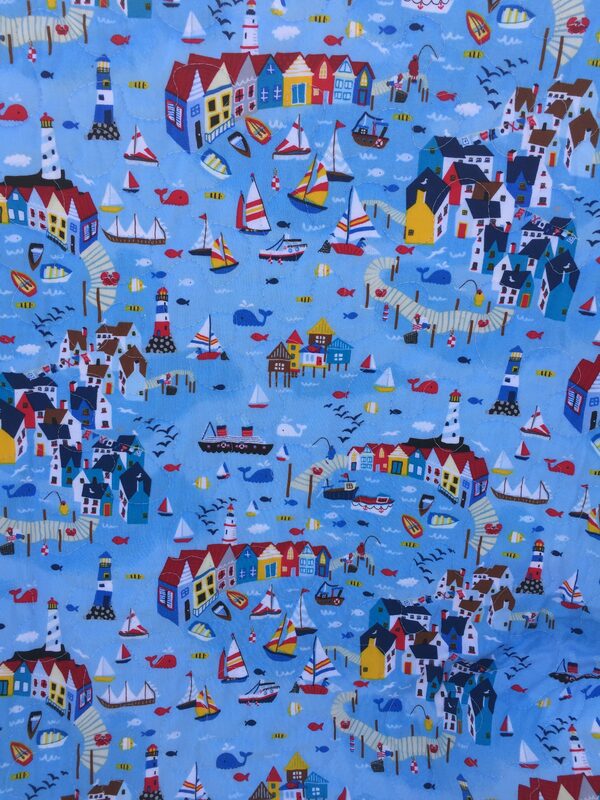 This nautical hexagon quilt would be at-home in any seaside home — or when you wish you were by the sea. 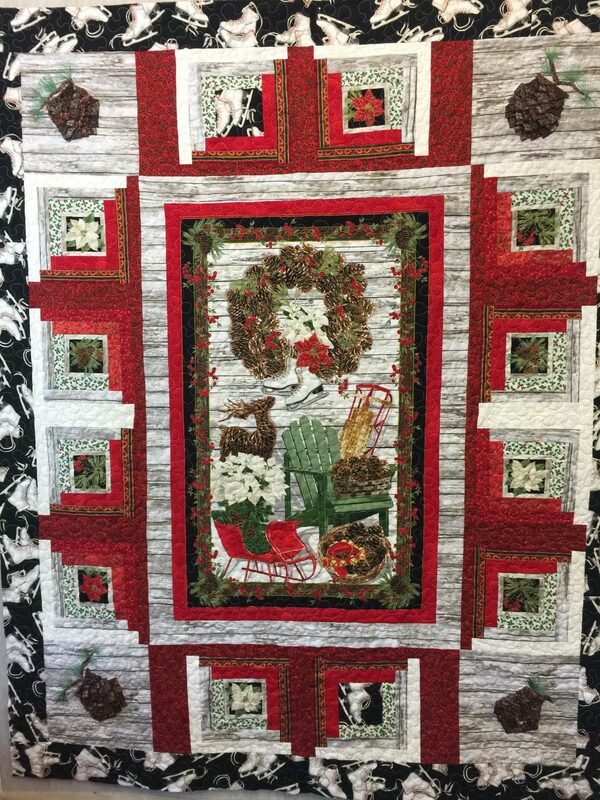 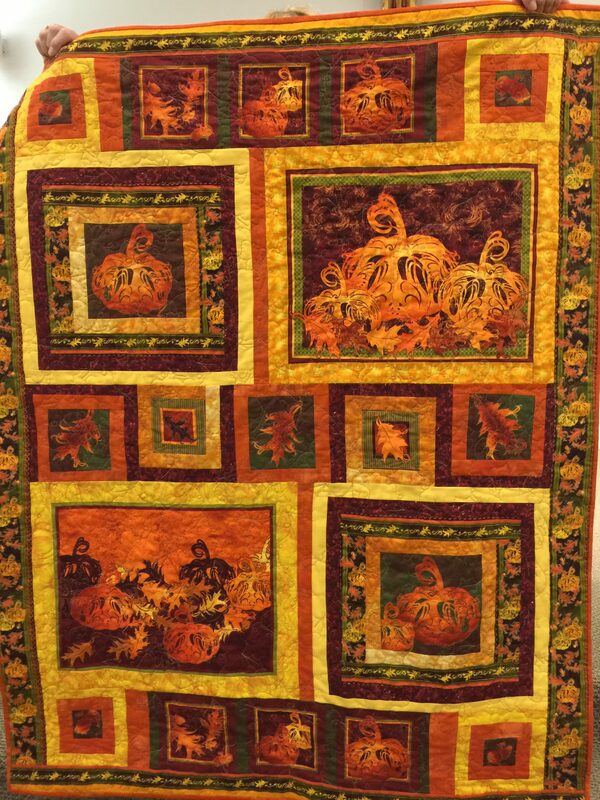 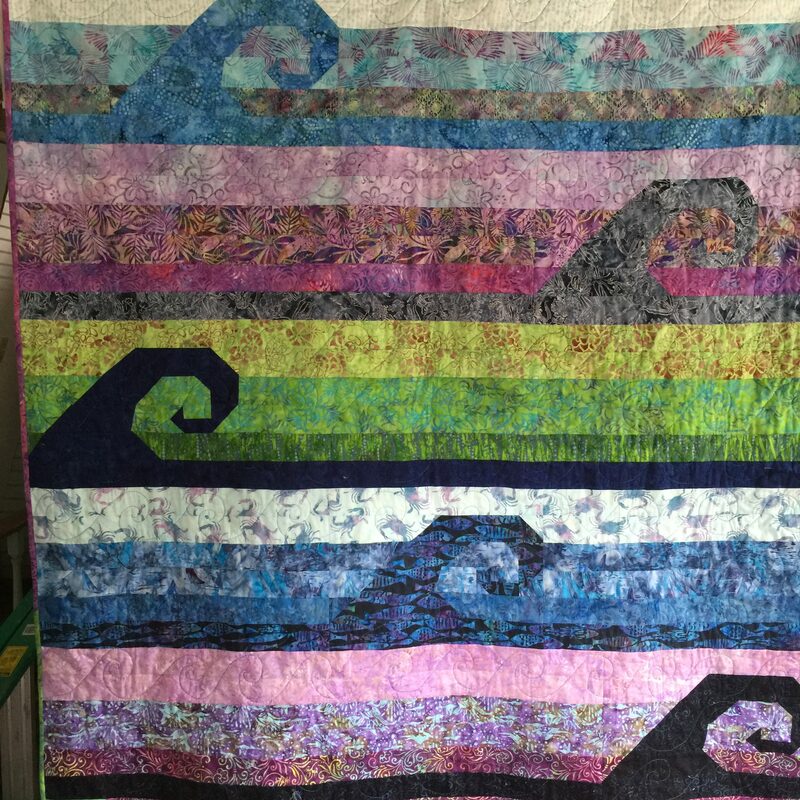 This lap quilt measures 51″ x 64″ and is quilted with a simple meander. 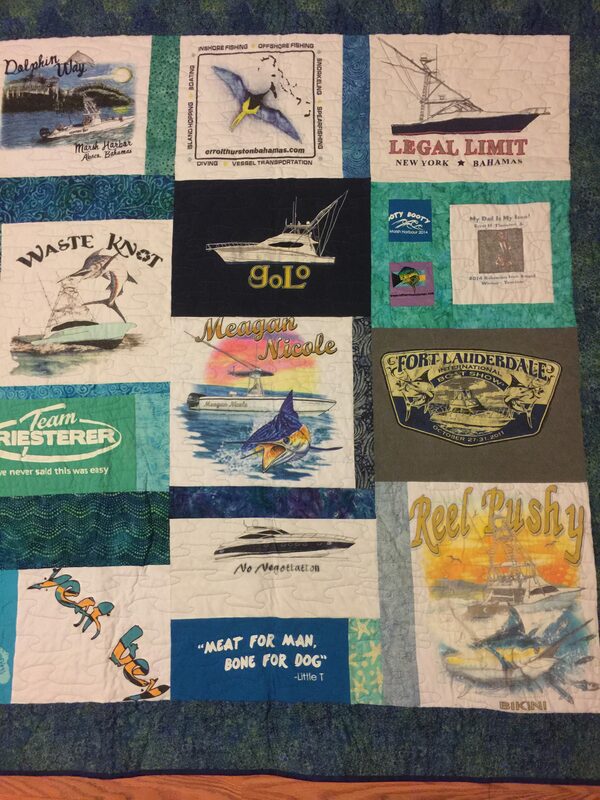 The eight inch hexagon blocks are red, white, and blue nautical prints of sailboats and fish. 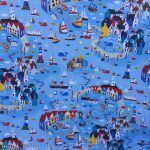 It is bound with dark blue batik and backed with a seaside print with white borders.